God the Supreme Evil being? The Gnostics believed the God of the Old Testament was Satan. Going through the Bible with a fine tooth comb we can find the Old Testament God who is supposed to be a perfect being engaged in some pretty unperfect behaviour. For instance, lying to Adam and Eve in the Garden of Eden. God told them they would die if they ate the fruit from the tree of good and evil knowledge. But then we discover not only didnt they die, their eyes were opened. Then we have the stuff about how God failed to create a perfect world to begin with so had to send a flood to start again. And there are plenty more. The argument in Gnosticism is that there is the actual Upper God which is perfect but totally unknowable and doesnt interact in this world. And then a lessor imperfect being called the Demiurge masquerading as it. What the Demiurge wants is for us to worship it, admire it, follow it, pretend its perfect, and ultimately completely submit to it so we become one with it. It attempts to coerce us into doing this by antagonising the hell out of us until it has broken us down enough that we completely cave to it. What the Gnostics argue is that we have an unknowable spirit separate from our manifested self in this universe. That the Demiurge removed our awareness of it leaving from our perspective just our manifested being in this imperfect world (which it created). Cutting us off in this way allows it to keep us trapped in the illusion. The Gnostics believed that to become aware of what we really are then we have to break free from the Demiurge. Its controversial but we are supposed to violate all this lessor beings rules. We are supposed to resent it, commit sins, and hate both it and the whole of creation. It sounds like the inverse of Christianity. Then it lets us go giving our unknowable spirit control over our manifested beings. Anyway, when it comes to the events that happen in my life I have often sat there with that funny grin on my face because I know something odd is going on. Its like the universe (or Demiurge) knows what my buttons are, what I hate, and how to antagonise me. I have had another one today. It makes me think the Demiurge is trying to grind me down so I completely cave to it. Its pure evil. I have also noticed something odd going on when I choose to like or hate something. Or when I wish I had or didnt have something. Its like the Demiurge can be outsmarted. If I hate and wish I didnt have what I really like and want then I get it. Bizarre. Anybody else having any Gnostic insights? I was nodding my head, agreeing ..... until I got to the 'It's controversial' bit. That seemed to massively fly off at a tangent. But what you have written has piqued my interest .... I am going to find a book on the subject. I don't trust bearded men. Something to hide. I would advise reading that, then some stuff on Practical Kabbalah, and top it off with the Biblical content on King Solomon. Then finally go listen to some Elvis and see just how many double meanings you can find. He even has the audacity to wear a cape on stage like a sorcerer. That guy knew way more about how reality works than what people realise. His songs are totally full of double meanings and he is doing a King Solomon. Thank you for the suggestions of reading material. Not sure about Elvis though! He didn't write those songs. Did he ever claim an interest in Gnosticism? IDK but ta lot of his songs are full of it. The Cathars believed this material world was Hell, and the spiritual realm was Heaven. 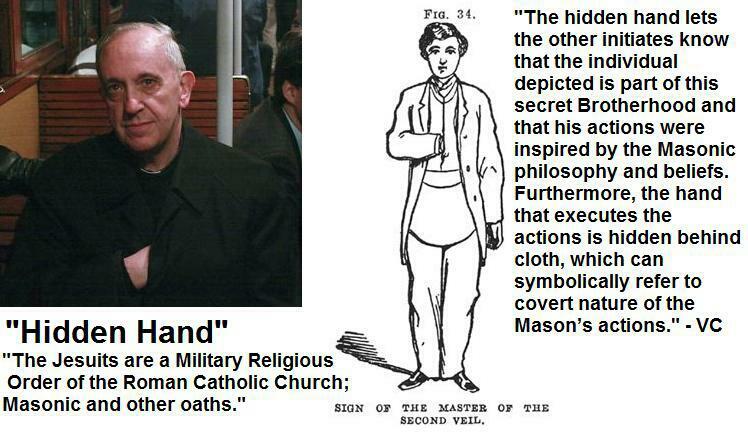 They saw the Catholic church as the "Synagogue of Satan", and the pope the "Prince of darkness". One need only take a cursory glance at the Catholics in their decadent snake citadel to realize the Cathars pegged them correctly. And one need only gaze upon this world's true face to realize it is Hell. RabidMongoose.....interesting OP. I remember the first time I heard this position presented, I was still Christian so I had to reject it on general principle. But now, being not Christian, I can entertain the notion as I would any other idea. i have a few questions/ issues with it and I would like to present them here. First is the nature of the “unknowable” supreme God....the One. Well, if he is the one, the origin, then it stands to my reason that nothing gets past him. So, he would have to be aware of our existence at the very least, along with the existence of every other thing and would have the capability to know it himself. Next....how about applying a little skepticism to it? Are we (in your opinion) capable of distinguishing any God....being a lesser one or the real one with our own cognition, spiritual or any other abilities? Because, if we lack that ability, how can we know any of it and would it even matter? Thats what I would ask first. What do you think? This doesn't sound to me like "gnosis", which to my simple mind, is the idea of direct experience of "God", the idea of "mystical union", rather than something mediated by a clergy. An imperfect analogy might be, the experience of falling madly in love with someone, as opposed to immersing yourself in a romance novel. The argument in Gnosticism is that there is the actual Upper God which is perfect but totally unknowable and doesnt interact in this world. And then a lessor imperfect being called the Demiurge masquerading as it. This sounds exactly like what many Christians believe, that there is a perfect being (god) who is content to sit back and allow a lessor being (Satan) to run rampant through creation. I really do not see any difference here. I have also noticed something odd going on when I choose to like or hate something. Or when I wish I had or didnt have something. Its like the Demiurge can be outsmarted. If I hate and wish I didnt have what I really like and want then I get it. Bizarre. This bit sounds like something related to the 'law of attraction'. Do you sincerely believe that there is some entity out there that is that interested in your life & wishes? I've been studying Gnosticism lately and one of the first things that struck me about it was that the idea of the Demiurge goes a long way to explaining all the evil going on in the world. You know - the psychopaths, murderers, narcissists - some a combination of all three!! There are "people" walking around on this earth who don't bat an eye at killing someone (an old woman, child, etc.) - doesn't even bother their conscience at all! It's not normal, and it's definitely evil. And I don't really believe in Satan or demons from hell. All I know is something odd is going on. Whether its an evil being, or whether the evil being is symbolic of some hidden mechanisms of reality, is irrespective. Whatever it is there are some unnerving coincidences between what happens inside my mind and outside it. What is the pay-off for the "evil being" is it bored or something ? They are "in the world", where lusts and appetites reign. And outside of this is what? I mean subject to the weaknesses and frailties of earthly existence, which one might suppose these "evil beings" are not ! Everything that exists, exists relative to other things. If you remove the relativity then everything unites into a state of being one called non-duality. There is `nothingness` and `not existing` which are two separate things. A state of non-duality is `not existing` because things only exist relative to other things. But it is still something, like some weird unknown potential from which all that exists came into existence from. In Gnosticism that is the unknowable God. Nothingness is the absence of everything meaning it has never and can never exist. Therefore at the minimum at least one thing must always exist. If you think about it all things that exist can only do so if there is a location for them to exist at, a point in time to exist at, and if its made of something. Hence the one thing creates space, time, and matter. These are pulled into existence out of the non-duality. Things that exist are also relative to other things that exist populating that space, time, and matter. The contents are also pulled into existence out of non-duality. That one thing that must always exist because nothingness is impossible is the Demiurge. It creates space, time, and matter, and populates it. Gnosticism is about rejecting the Demiurge because it cannot create perfection. Instead the aspiration is to release ourselves from the prison it has created by become non-duality once again. Gnosticism also sees the Demiurge as the God of the Bible not only because of its imperfection but because it has relative characteristics which dont apply to non-duality. Non-duality has no individual properties, characteristics, or traits. Therefore it is not merciful, forgiving, loving, judging, hateful, or damming. It is simply that from which everything came into existence from. Nothing more, nothing less. The link I posted says hating the Demiurge, hating every aspect of its creation, and working against it by sinning are what get it do let us go. Basically if we see through it and wont play ball the Demiurge gives up on us. Maybe he's just going for his wallet? It seems to me that you are mixing God the Creator and the Demiurge (the small creator, one of the last creators in the hierarchy of the angelic sevenfold system) therefore it seems that you make God imperfect. This creation is imperfect and the Creator is perfect and if there was no perfection and the Perfect Person, people would not strive to know their true Self, Spirit, Jivatman or Paramatman as there would be even more bloated imperfection of God but this is not the case and the monks strive to reach God! Sources simply say that the last creator gods (who for us are the Demiurge) did not do their job very well in humans, therefore the person turned out to be what they are now and in order to surpass what they created they need to open a true, gnostic person. This being will live in harmony of the infinite with the finite, individual and cosmic, in other words, this being will live in harmony with all being and there will be no ignorance for it. Gnosis has a divine unity and therefore able to manage and control the diversity and multiplicity of manifested forms. Gnosis is not limited to any form of ignorance and is in a state of self-disclosure through the power of divine Knowledge. The gnostic being (vijnanamaya) is, by its nature, a consciousness-truth, at the same time both the center and periphery of the true vision of things, the manifold manifestation of the subtle body of gnosis. The supramental gnostic personality is a spiritual person but not an individuality in the sense of character, limited by a set of certain qualities and properties, since the gnostic person is an expression of the universal and transcendent. We feel ourselves surrounded by a radiant consciousness, an ocean of energy and omnipotence, we can describe its features and forms of manifestation but we cannot enclose it within any specific framework and boundaries. And yet, the sense of individuality, the presence of a powerful being, a Person, a recognizable, high, strong and beautiful Person, a higher Self of Soul, Purusha, as opposed to the limited creation of Nature, is preserved. The Gnostic Personality will not hide from the human gaze and will become nothing more than a manifested inner being, reigning simultaneously both in depth and on the surface in the unity of self-consciousness; it will transcend the boundaries of the whole external, only partially reflecting the hidden inner being and will turn from a separate sea wave into an endless ocean: it will become Purusha, an internal conscious, independent Being, and will lose the need for an external mask of the surface personality. The system of Gnostism as you described it looks more like Vedanta and modern Buddhism whose ultimate goal is to immerse into the indistinguishable being of Nirvana, Void (Shunya) or the non-dual Brahman Vedantists, and this is a great achievement, no doubt, but it is only an intermediate stage on the way to Parabrahman -God, our true identity outside the universe and Nothing. The bit about 'violating all this lesser being rules' ...... meh, I don't know, that doesn't sound right to me. Are you sure that isn't just one person's interpretation of part of Gnosticism? Where did you read about that? Maybe this is caused by psychism. I can't thank you enough for that link! The 'Brief Summary of Gnosticism' is easy to understand and seems comprehensive. Nice. I was actually thinking the same thing myself recently.